She studied in the Academy of Fine Arts in Warsaw. Graduated in painting from Professor Marian Czapla’s Studio in 2004. She acquired additional qualifications (fresco, mosaic, sgaffito) in Professor E. Tarkowski’s studio (2000-2004). She is a co-creator of the “Pracownia [studio] 23″ currently operating in Warsaw district of Praga and artistic group Flogiston. She was a winner of the Józef Szajna Prize in 2004. 2003 – ‘Drawing by the Academy Students’, Gallery of the President of the City of Warsaw. 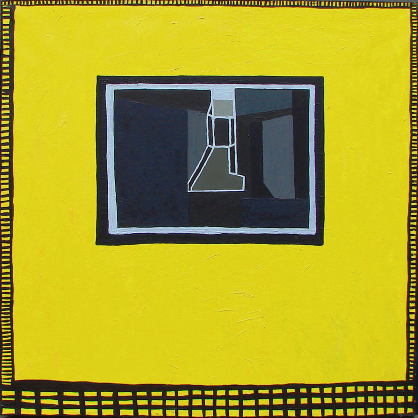 2005 – Painting exhibition – winner of the Józef Szajna prize, Office of the Province of Mazovia, Warsaw. 2005 – ‘Young in Warsaw Branch of the Polish Artist’s Union‘, Gallery Lufcik, Warsaw. 2007 – Stay with us – Exhibition commemorating the third anniversary of Pope John Paul II pass away, Gallery DAP, Warsaw.